I got commissioned by inkblotfox to try mocking up a new pokemon sona for him to use! He gave me a ton of room to work, but it also happens to help he's one of my super besties? Soo??? It's just easier to work with knowing the person so well behind the character and then I got to mess around and play until I found something I liked and tuns out HE ADORES IT TOO JUST WOW YAY!!! 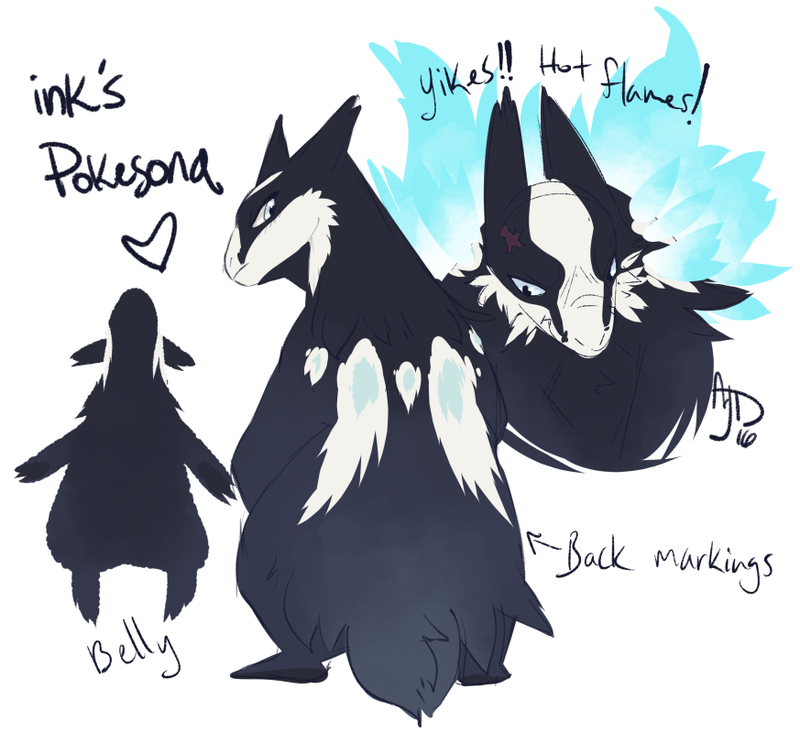 Big dark badgery-feel typhlosion with white to blue HOT flames that are rarely used. c: Bwee <33 So in love with this... ink bro.. if you ever get rid of him, please let me have him, just omgg.